stpmj received AIANY Design Award 2017 (American Institute of Architects New York Chapter) in the Architecture Category and Special Mention in the Private House (XS <1000 sq ft) category of A+Awards 2017. The AIA Design Awards Exhibition will be in the Center for Architecture, New York from April. 21 - June 20, 2017. 에스티피엠제이 건축이 디자인한 Shear House가 미국 건축사협회로부터 AIA 뉴욕 디자인 어워드를 수상하였으며 Archtizer에서 주관하는 A+Awards 소형 주거 부문에서 Special Mention으로 선정되었습니다. 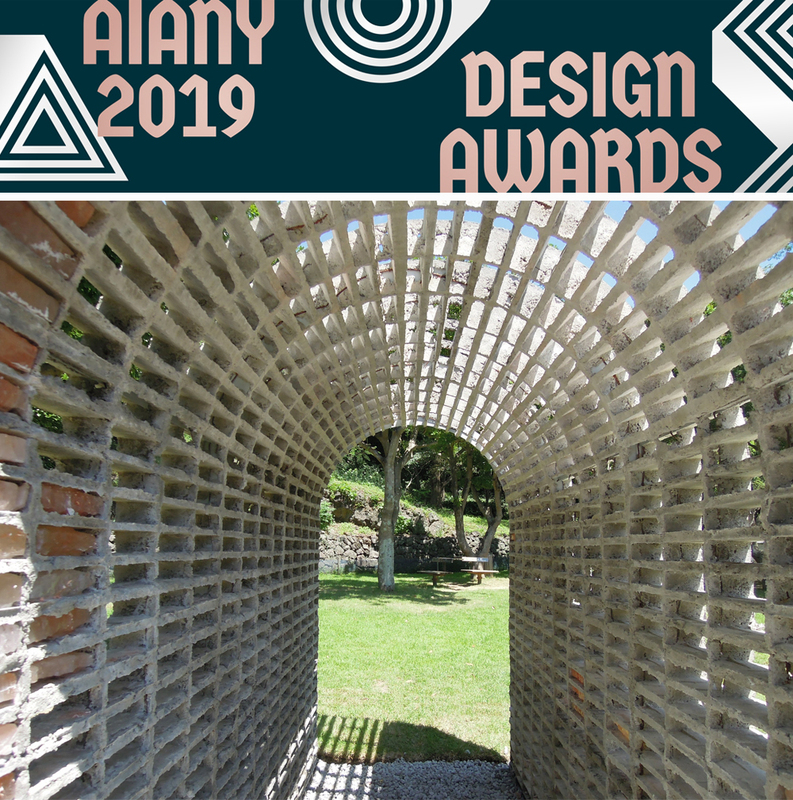 AIANY Design Awards의 수상작 전시는 4월 21일부터 6월 20일까지 두 달간 뉴욕 Center for Architecture에서 진행됩니다. 에스티피엠제이 건축이 문화체육관광부가 주최하고 새건축사협의회, 한국건축가협회 및 한국여성건축가협회가 주관하는 올해의 젊은 건축가로 선정되었습니다. '젊은 건축가상'은 문체부가 우리나라의 미래 건축문화를 선도할 우수한 젊은 건축가를 발굴하고 이들의 활발한 활동을 지원하고자 2008년부터 제정하여 수상하고 있는 상입니다. 이 후 작품 전시회 및 작품집 발간이 예정되어 있으며 시상식은 10월 울산에서 개최되는 '2016 대한민국 건축문화제'에서 진행됩니다. stpmj (Shear House) is named as a winner of Kim Swoo Geun Preview Award 2016, and the award ceremony is scheduled in June 11th. The work is displayed at Arko Art Center from June 9th to 17th and stpmj gives a lecture on the project on 7pm at the center in June 15th. 에스티피엠제이 (쉬어하우스)가 2016년 김수근 건축상 프리뷰상을 수상하였습니다. 아르코 미술관 스페이스 필룩스에서 6월 11일 시상식이 예정되어 있으며 6월 9일부터 17일까지 작품 전시를 진행합니다. 15일 오후 7시에 Shear House의 개념부터 시공까지의 과정을 담은 강의를 진행합니다. stpmj's INVISIBLE BARN is named as both a FINALIST (Plus Categories | Concepts: Architecture +Art) and a SPECIAL MENTION (Typology Categories | Cultural: Pavilions) for Architizer A+ Awards of 2016. 에스티피엠제이의 "인비져블 반"이 아키타이저 A+ 어워드 Plus category에서 최종 후보작에, Typology category에서 특별상에 선정되었습니다. stpmj is named as a WINNER of AIA NEW PRACTICES NEW YORK 2016. We have a public lecture and discussion with nARCHITECTS on Wednesday, May 4, 6:30-8:30pm at Cosentino Showroom | A & D Building, 150 E 58th Street. Recent works will be exhibited at Center for Architecture, New York from May 12, 2016 to July 23, 2016. 에스티피엠제이 건축이 미국건축사협회(AIA)에서 주관한 2016년 뉴욕 신진 건축가상 수상자로 선정되었습니다. 엔아키텍츠와 함께 뉴욕 Consentino 쇼룸에서 5월 4일 오후 6:30부터 공개강의를 진행합니다. 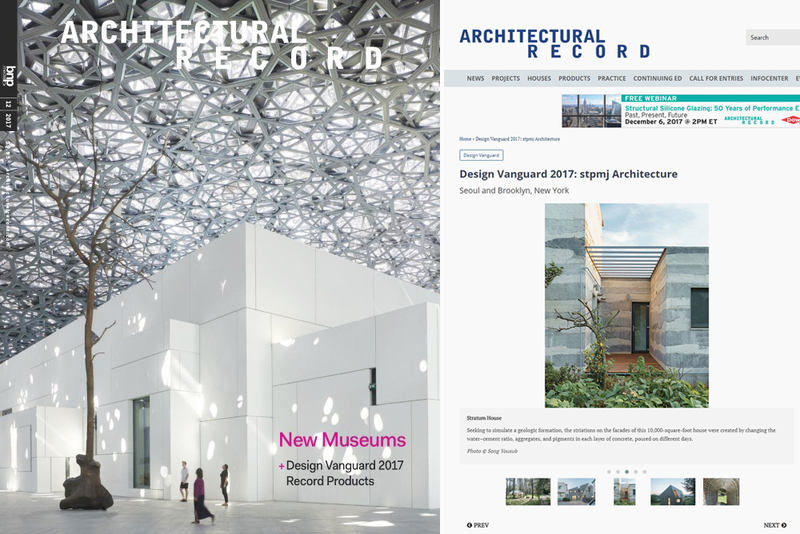 또한 stpmj의 최근 작품이 뉴욕 Center For Art and Architecture에서 5월 12일 오프닝을 시작으로 7월까지 전시됩니다. "New Practices New York, a biennial competition since 2006, serves as the preeminent platform in New York City to recognize and promote new and innovative architecture and design firms. The juried portfolio competition is sponsored by the New Practices Committee of the AIA New York Chapter and honors firms that have utilized unique and innovative strategies, both for the projects they undertake and for the practices they have established. 2016 marks the 10th anniversary of the New Practices Committee and the New Practices New York competition." st got shortlisted and interviewed for Five Principals of OFFICE US (US Pavilion) @ Venice Biennale 2014. 이승택 소장이 2014 베니스 비엔날레 미국관 참여작가 후보자로 선정되어 인터뷰를 진행하였습니다. stpmj is selected as a WiNNER of The Architectural League Prize for YOUNG ARCHITECTS + DESIGNERS 2012 (FKA Young Architects Forum). Lecture and Exhibition schedules are noted below. 에스티피엠제이 건축이 뉴욕 건축연맹이 주관하는 2012년 올해의 젊은 건축가상을 수상하게 되었습니다. 6월 26에 공개 렉쳐가 있으며 작품은 6월부터 8월까지 Arnold and Sheila Aronson Galleries에 전시됩니다.